Nowadays heterogeneous networks are common scenario everywhere. And with NLD being placed in between, any user in the network would have necessity of accessing their NetWare servers for one or the other need. 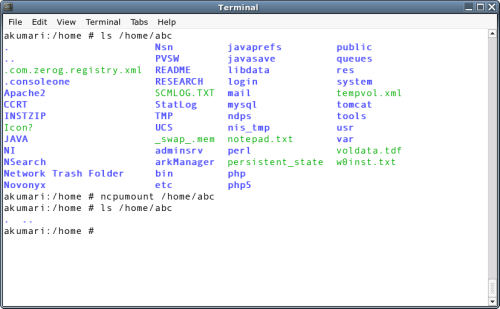 Using built in command ncpmount any user can mount NetWare Volumes on NLD. The cool solution is intended to explain mounting NetWare Volumes on NLD. 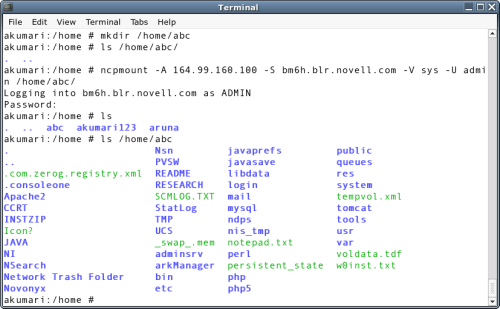 Following steps explains the details of mounting NetWare Volumes on NLD using ncpmount. Create a folder where the NetWare Volume has to be mounted. NOTE: The -P is optional. If it is not specified, then you will be prompted for the password.